Woven chairs are trendy! They may be of classic design or new creations, they are embellishing living-rooms and dining-rooms in soooo many magazines. 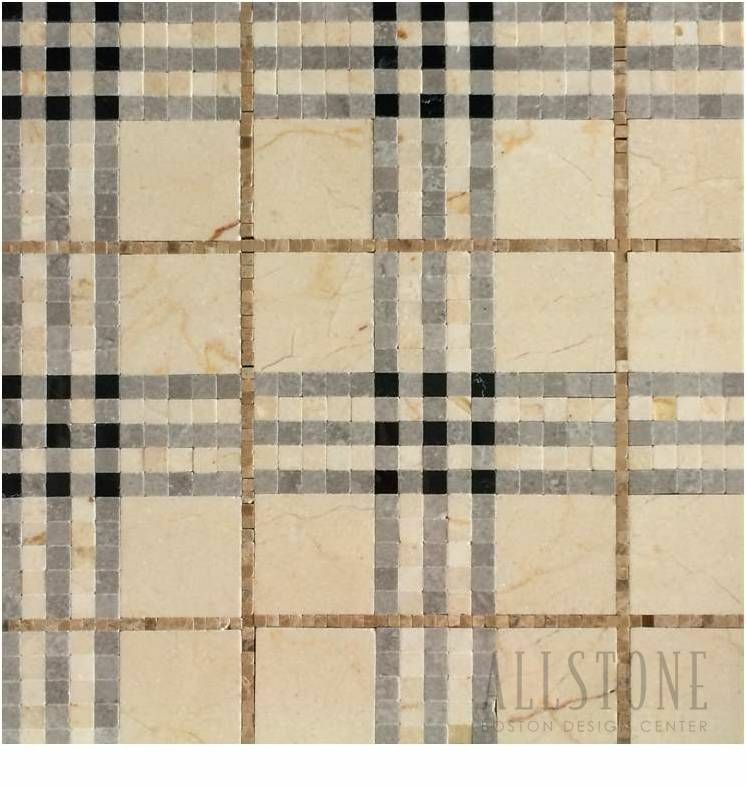 They are very versatile, and accommodate to many decor styles. However, they always give a relaxed, fresh and airy vibe, while providing a sophisticated look. That's why I love them! Different materials are used for the weaving (rattan, cane, leather, seagrass, twine...), which gives the designer the possibility to play with the patterns and the texture, and therefore achieve the right decor. Even though, the woven chairs have rekindled, I think that, used in combination with other furniture, they allow for a timeless design. I wouldn't fill my living-room with a full set of woven chairs, or a dining-room with a woven table and chairs. However; associate warm woods, leather or upholstery with the woven furniture, and you will have an outstanding, yet classic item in an airy, yet sophisticated and timeless interior. I can not think of something more cozy than reading a book, comfortably snugged up in a chair, with a warm cup of tea in hand. Surprisingly (or not), I tend to forget about taking time for these restful breaks, and I will blame the internet for that. Reading nooks don't have to be customized built-ins. You can create the perfect nook in the corner of your living-room, add some kind of comfy seating (let it be a chair, a hamac, pillows or a daybed). Natural light and a nice view would be perfect for the intimate corner, but you can achieve a lot with a pretty lamp and interesting art on the walls. Shelves or pretty baskets for collecting your books, and a side-table will complete the nook. Create a space that reflects you and personality, you will feel even more comfortable in it. Snowy landscapes and darkness from 3 pm (in Oslo) help anyone get in a Chrismassy mood, so families are getting active quite early with craftwork, winter activities, Christmas markets... However, even though it is usual to begin to decorate from the first Sunday of Advent, the Christmas tree won't be set up before December 23rd. 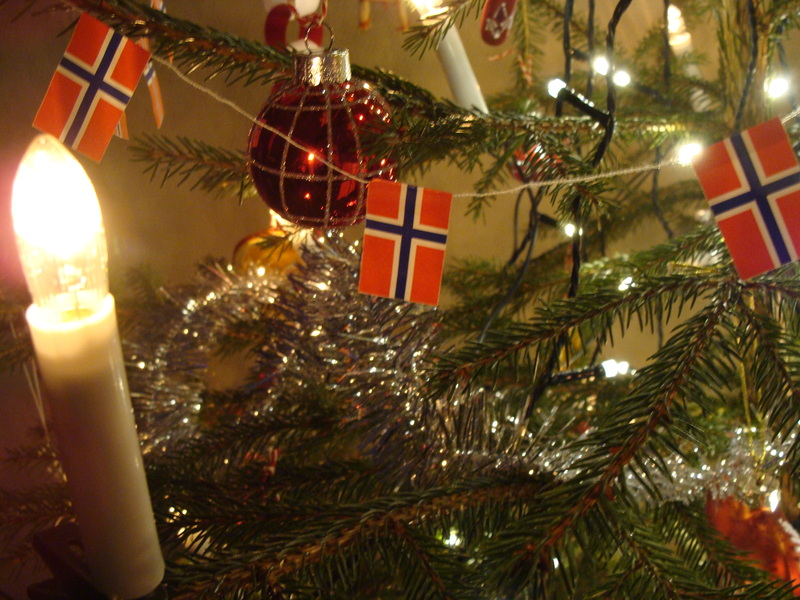 Norway, Danmark and Sweden have a long common history and similar traditions. Some examples below might come from these other Scandinavians countries. Most of these decorations are easy to make yourself, even by children. 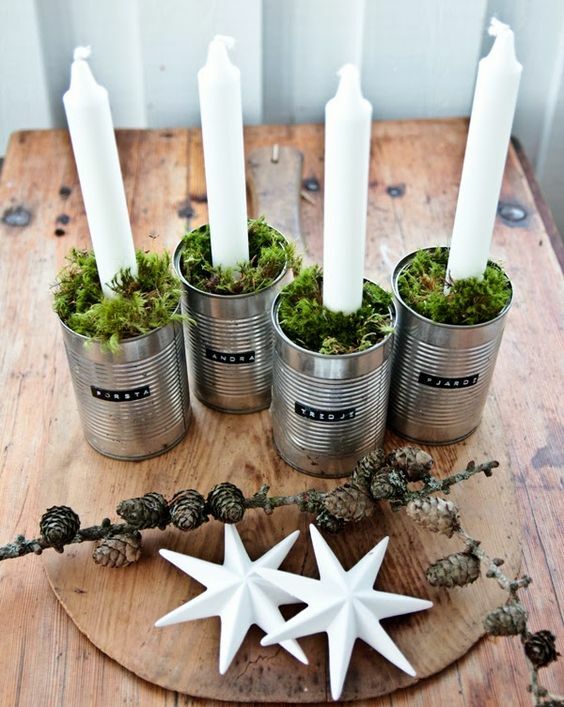 Do you like the use of natural materials as well? It is a huge part of the Norwegian Christmas decoration. I was approached by a lovely young family who was bothered by the fact that they didn't feel comfortable and relaxed in their new-built house. It didn't represent them as a modern, happy and warm family. As many other young families, it was furbished with a mix of his and hers previous furniture, and some new purchases which didn't fill in the gaps. My task was to make the family room, the retreat, and a child bedroom feel more homely and cosy for them. It was also important to keep some of the pieces of art and furniture which were dear to them. The couple wished to keep the same colour on the walls, which provided a good neutral background. However, it was important to warm up the colour palette and I was relieved when both told me that they loved orange tones! Orange is probably the best colour to bring warmth and happiness into a room! We pushed the sofa off the walls and these few inches made the room more balanced and inviting. We brought warm tones and cosiness into the space with a vintage credenza, a beautiful copper ceiling-lamp, and a combo of textures and patterns. The credenza was a great purchase which hides all the (ugly) technical devices, manuals and last, but not least, is big enough for the TV screen. I am very happy with the end result and the family is now enjoying an inviting and child friendly family room. I will reveal the retreat and the kid's bedroom on Monday, so stay tuned! One of my favourite things to do (or look at) is make-overs. It could be a room, a piece of furniture, but lately I have been obsessed with fireplace make-overs, they can be so spectacular! Many will have a fireplace that was designed and built a long time ago, and as any other elements of the house, they can (should) be renovated to harmonize with the rest of the interior. I love how a bit of imagination has transformed these fireplaces into modern and light focal points. Sometimes a stroke of paint can do the trick, look at my mini fireplace transformation here, if you have missed it. A few weeks ago, I promised to tell about a small change in our house that made a big difference. That small change evolved into several actions and required more work than I had hoped for. The first floor in our house is an open-space including the kitchen, dining-room and the living-room. That space had different types of baseboards, which annoyed us a little to begin with and tremendously afterwards. So we finally decided to replace them. No big deal! Ripping off the old baseboards, I realized that the walls would do better with a fresh coat of paint. Well, no big deal; this was after all the best time to do it! But there was something else that was bothering me: our floor situation. It was in bad shape and the best would be to replace it completely. However, we really didn't want to move out or use too much money for that project. I had played with the idea of painting the flooring, but was on the fence (how practical would it be?) about it. Then I remembered that the talented designer Lauren Liess had done it, even-though she has 4 small children and a dog! She made me pull the trigger! Painting the walls was pain-free, and painting the floors wasn't hard, but tricky as we were still using the space. I proceeded by moving the furniture around and painting large patches. Three coats were necessary for each patch, so it took quite a while. Needless to say that we lived in a chaotic home for a while. I also had to schedule when to paint the kitchen or the corridor to give access to the bathroom... but the result was worth the hassle. Now we have fresh walls, matching baseboards and freshly painted, leveled floors!